To create a WordPress website, you need a domain name and web hosting. Among them, hosting has a more expensive price and costs tens of thousands of rupiah per month. But do you know there are free web hosting services that you can use at no cost? One reason why there are still many who are hesitant to make their own WordPress sites is a matter of cost. To buy a domain name and web hosting, there are hundreds of thousands to millions of dollars that they have to spend. Not to mention if you buy additional features such as SSL or features to hide domain name data such as BitNinja. This makes the use of free blogging platforms like wordpress.com and blogger.com still quite popular. In Indonesia, quite a lot of people choose to use & nbsp; custom domains on Blogger for their sites. And between domain names and web hosting, the last one is clearly said to cost a lot of money. This is reasonable because we use resources from a server which of course requires a small fee. Although many offer low prices, many hosting services have exorbitant prices. But of course, the level of reliability offered is also not playing games. If you want to try hosting, there are several services that give you a 30-day money guarantee. So if you don't like it you can get your money back after one month's usage. But one month may not be a long time, especially if you have just tried hosting. If you only want to try hosting but you can use it for a long time, there are some unlimited free hosting that you can try. FREE! Is there really free hosting? Yup, believe it or not, there are several services that provide hosting that you can use at no cost. Very suitable for those of you who want to taste WordPress but don't want to go out first. The process is also quite easy, just create a new account, you can already register for free hosting. Suspicious! How come there is free hosting? It must be strange to hear there is something that is given for free without making us feel surprised. Even though for the cheapest hosting alone, we usually charge up to tens of thousands per month. Then how can they provide free hosting? Every hosting service provider needs a server to accommodate the website that you created. And the cost of buying a server and treating it is certainly very expensive. But every company would want to profit and losses due to the offer of free hosting must also have been thought through carefully. Some possible schemes are offering free hosting in the hope that you will continue to use their hosting and switch to the premium hosting packages they offer. Besides that, they can also benefit by selling domain names and other features that you might need. But not infrequently they also use negative tactics such as advertising without your knowledge. That way they can get additional income through your site in exchange for free hosting. Then if the quality of hosting is free? Okay no? Price determines quality. Maybe it's a short description that I can give. What are you hoping for with a free hosting list? The server is less reliable with high downtime. It's difficult to transfer the domain that you installed on free hosting. There are advertisements/ads that you cannot control. A website that can know it is deleted for no apparent reason. Resources that you can not match the promises they give, etc. That's why I don't recommend using free hosting. But because you don't spend any money, of course, you won't lose anything if you want to use another hosting one day. If you try to find the keyword 'best free hosting', then the name 000WebHost is the name that will first appear in the search results. 000WebHost is also not a new player because they have offered free hosting services since 2007, aka 10 years or more. The reputation of 000WebHost is also quite good considering they are still affiliated with Hostinger. In addition, this hosting also claims that they benefit from premium services and donations from their community so you can be sure that the hosting you use is 100% free forever. This hosting is far more veteran because they have started their business since 2003. And AwardSpace has indeed given free web hosting from the start, and just released their first premium hosting package in 2005. Had become one of the best hosting options, AwardSpace remained consistently providing support for the unlimited free hosting services they offer. I myself see the FreeHostingNoAds site more like an affiliate site because you will be directed to the iPage site to upgrade to unlimited packages. In addition, they also offer HTML5 sites but the links on the site actually lead to the Wix.com site. Even so, to be honest, what you get on the package they offer is very tempting for unlimited free hosting. This site even distributes free domains with the extension .com, .org, and .net every month. If you are interested, you don't need to use hosting from them first. Just join their Facebook Page and follow the competition they are holding. FreeHosting is a free Scottish hosting service that has been established since 2010. 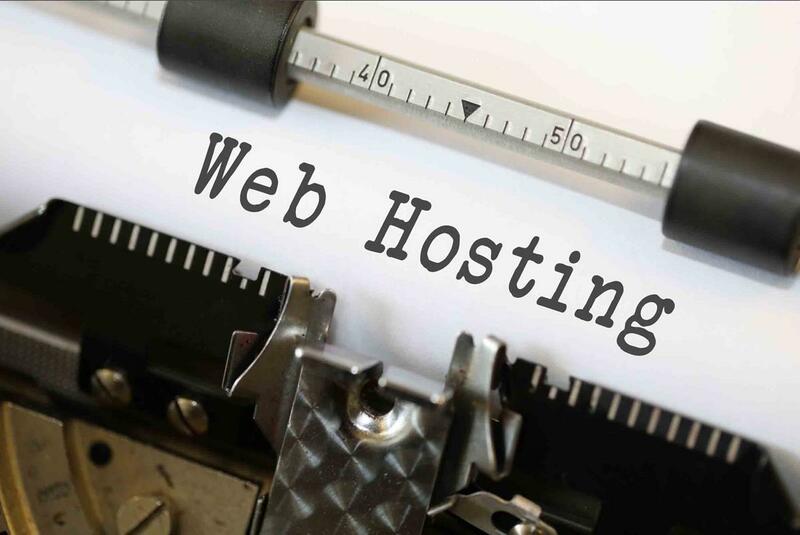 Equipped with quality servers located in France and Germany, FreeHosting is able to serve 15,000 more websites with a total of 9 million visitors every day. This hosting service provider I have seen has grown quite rapidly since I last saw it. In addition to changing website appearance, it seems they will launch new services such as Free FTP Hosting, Free DNS Hosting, and Free Cloud Backup Hosting. ByetHosting itself is a subsidiary of iFastNet which offers more premium hosting packages and has more than 10 years of experience. ByetHosting claims that they are the fastest free hosting service referring to data created by free-webhost.com that has measured the speed of access of some free hosting. And with the features offered, maybe you will be interested in this one free hosting. Another name that is quite well-known and experienced in providing free web hosting for more than a decade. Just like ByetHosting, x10Hosting is a forever free hosting service that offers unmetered bandwidth and unlimited disk space. In accordance with their vision, "we believe that hosting must be accessible to everyone, which is why we provide free hosting for everyone." The last name in the next best free hosting list is Viewen. Among all the unlimited free hosting services available, maybe I can say that Viewen is one of the best. Starting from the use of cloud for hosting that they provide until all the cool features that are given for free make me doubt anyone can match it. And if you don't believe that all of this is free, Viewen itself does not have additional add-ons or premium packages that they can offer. So don't worry suddenly there is a bill that goes into your inbox. In addition, for free hosting services, the support provided also seems very good if you see a lot of reviews about Viewen. I might not call it a shortage, but there are some complaints about the requirement to be able to use free hosting from Viewen and content that can be removed unilaterally by them. For problem conditions, you only need to like their Facebook Page and answer a few short questions via email. After that, you can't use Viewen until there is approval from them. While for unilaterally deleted content there are several factors. The main factor is the misuse of hosting Viewen such as torrent sites, spam, or pishing. Simply treat us like your family and that will be enough for us. Choosing the best free hosting service is not easy. In addition to the seven services above, there are actually many other unlimited free hosting providers such as UHostFull, WebFreeHosting, BraveNet, and GoogieHost. For free Indonesian web hosting the choices also range from Rocketnesia, IndoWebsite, to Hoststres. But you must be aware that using free hosting is not wise if you want to create a website or blog with a good and long-lasting SEO score. And it should be noted also, on premium hosting alone we can still see many complaints regarding service issues, server quality, to technical problems even though we have already paid for the service we use. Now imagine if we use free hosting! Can we still get a minimal experience with paid hosting, or worse? But the choice goes back to you.